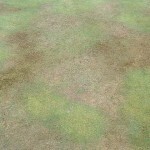 If your green has suffered the blight of localised dry patch (LDP), sometimes called bowling green dry patch in the past, this is the most critical time of the year to take action to minimise the chances of another outbreak. It’s unlikely that you will be thinking about irrigation of the green just yet, but dry weather in March and April, usually accompanied by drying winds which cause further moisture loss from the green surface can allow LDP to take a firm grip on the green. 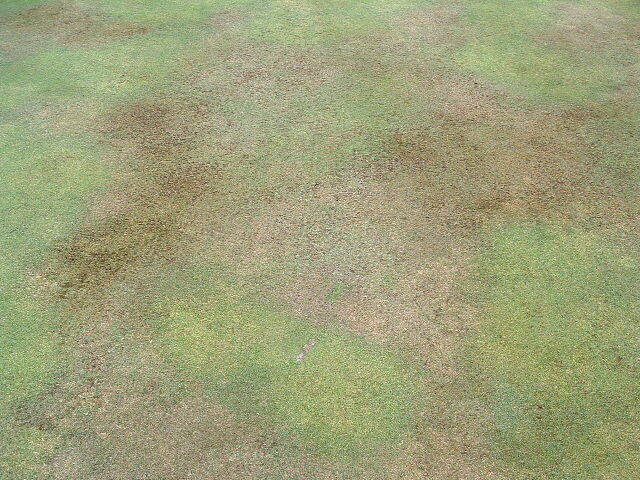 The main effects of this might not show up until June, but the damage will already be done and no amount of irrigation will correct this once it has taken hold. With this in mind and especially if your green has suffered in the past, you should at minimum be keeping an eye on your water balance chart and making irrigation applications to replenish any deficiencies, even if it seems counter intuitive…trust your water balance sheet! Now is also a good time to mini-tine the green and apply a granular wetting agent, making sure it is washed into the tine holes thoroughly. Monthly liquid wetting agent applications should also commence now and the water balance sheet (not Charlie, the club champion in 1977, who doesn’t believe in watering greens!) should rule the roost as far as irrigation decisions are concerned. Much more on LDP here. Good to hear from you and hope everything is going well at Castings.